Home > Setting Up A Youth Group > What Benefits do Kids get from Youth Groups? Youth groups have been part of the fabric of many communities for decades. Yet a surprisingly large number of people have never been exposed to them. It’s no surprise, therefore, that these people are unaware of the many benefits a youth group could have on their children. This article will explore some of the skills and opportunities available to children from their local youth group. One of the most obvious benefits children will acquire from their youth group is a good amount of healthy exercise due to the style of games that are frequently played. In a society where children are often not given the opportunity to participate in sport, the opportunity to let off steam and to get regular exercise is undoubtedly a real and important benefit. Another of the benefits children can acquire is the ability to work in a team. Many youth groups will run team games or events where older and younger children mix, and there is a need for each child to work as part of the team in some capacity. Again, this is an important skill to learn, as it stands children in good stead for future life, whether in education, sport or an office-based situation. A related benefit is the responsibility children can be given in youth groups, which teaches them the skill of leadership; again, this can be put to use in any number of contexts later in life. Many youth groups offer training and activities based on specific skills, arts and crafts. For example, some groups organise camping trips where the resourcefulness and attitude of children is tested in a number of ways. This may include having to pitch tents, walk long distances, read maps and gather essential materials such as firewood. The individual skills involved in some of these activities, such as knot-tying, map-reading and problem-solving are undoubtedly benefits; you never knows where life may lead you, and to have the ability to take stock of a situation and gather the resources that you need to survive is perhaps more important than many people would expect! In addition to the ‘concrete’ benefits of youth clubs, children will also benefit from the general atmosphere. Youth clubs are designed to help children who perhaps struggle to feel part of a wider community, or have been disadvantaged by an adverse family situation or a lack of opportunities. These children are often hurt, isolated and unhappy. Youth clubs can be great places for kids to get back on their feet, with renewed confidence and a real sense of well-being. Not only this, but they may well also find that they are able to make new friends and to become part of a new social group. If they are genuinely struggling socially, or under threat of abuse at home, then it may even be that the youth group becomes the place where they feel most comfortable, and able to talk about what is happening to them. Although this would be very sad, it is still an undeniable benefit of youth groups if children are provided with people they can trust. Therefore the benefits a youth club can bring are very varied, ranging from the fun to the serious. A youth club can be an educational tool for the community, picking up the baton from the more serious tasks undertaken by schools and the home, but it can also be a haven when those more established institutions break down or become corrupted. 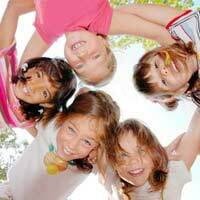 It’s certainly true that children can gain many benefits from attending youth clubs! Hi my name is welhemina from kwaggafontein. I really need some advice I want to start a youth group that will help the youth in my community what must I do?